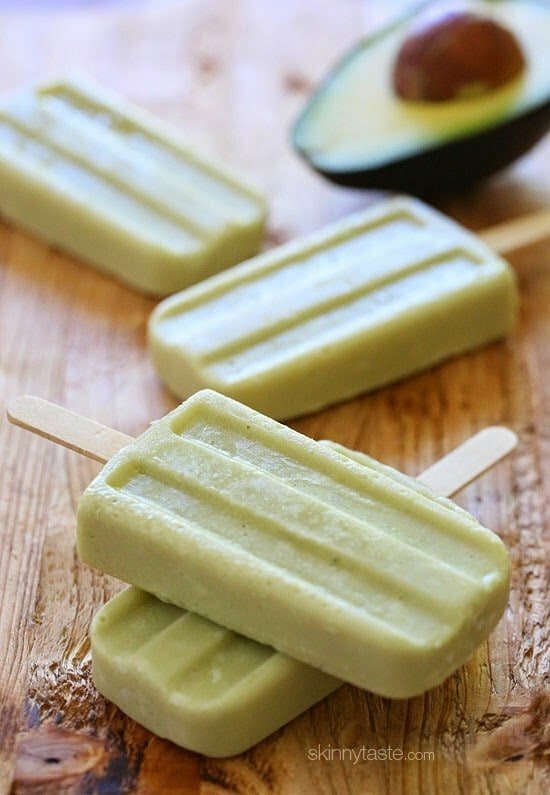 These creamy Avocado Coconut popsicles are made with just 4 ingredients – nutrient dense avocados, coconut-almond milk, raw sugar and sweetened coconut flakes. They are dairy-free, vegan, vegetarian and gluten-free. You may also likes some of these healthy homemade fruit popsicle recipes, Frozen Coconut Mango Popsicles, Citrus Basil Mojito Popsicles, Raspberry Coconut Chia Pudding Pops to name a few. It’s no secret, I’m pretty avocado obsessed! I grew up eating avocados all my life and I usually incorporate them into a meal just about every day! In fact, I love them so much I created an entire Pinterest Board devoted to avocados. But I usually eat them in some type of savory dish such as guacamole, BLT, egg salad, in my salad dressings, with my soups and more. But the fact is, in Brazil where my Dad lived for many years, avocados were never eaten with salt; instead they were treated as the fruit that they are and were often sweetened with sugar. My dad used to make a smoothie years ago with avocados, milk and sugar which he called Vitamina. Because I love coconut, I took his smoothie idea and added coconut flakes and loved it! And since avocados are so nutrient dense, you’re also getting a good dose of healthy fats, vitamins and minerals to boot! , click the link if you’re interested. 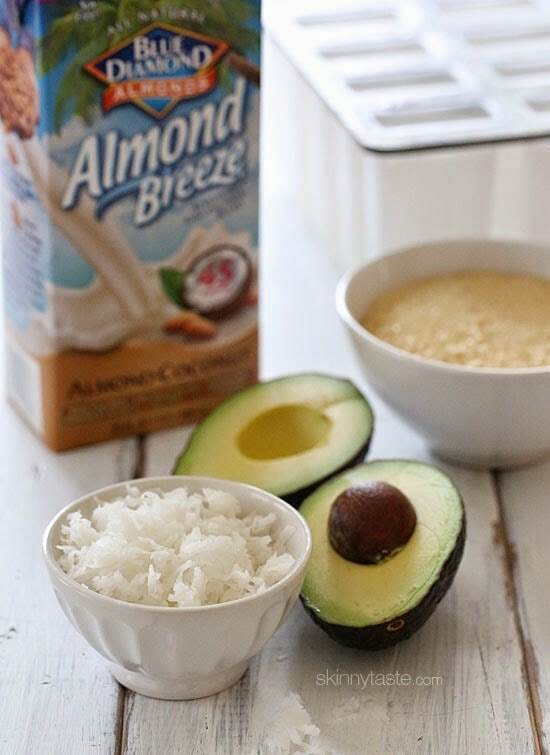 Add the coconut flakes and mix to incorporate. I only share products I use in my own kitchen. I created this recipe and received compensation to do so. We love these popsicles. 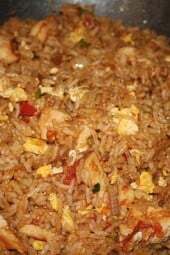 I’ve even made without the shredded coconut and still good. These are some of my favorites when my kids have sore throats and aren’t eating very well. I feel good about getting them some soothing pops and healthy fats. Why so rude? All my comments got accidentally deleted from all my posts from the last days by my tech person, so I never saw this. I will calculate these to see if they are correct. Is very common here we eat avocado witch milk and little sugar. 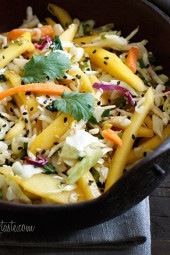 We called Vitamina de abacate. Holy moly these were amazing. Even better? Its late September and I needed popsicle molds– Target clearance to the rescue! I made 11 of these from the recipe, and they ended up being 2 points. I used honey instead of sugar because its what I had on hand.. and ohhh my heavens it was a great decision! These were slightly icy- still creamy and delicious, but that could be because I was using an avocado that probably should have ripened another day 🙂 either way- these didn't last a week in my house, and my husband is begging for more! Bravo, Gina! Being from Honolulu and having an avocado tree in our yard, my mother would mix a bit of sugar then spread a little on Hawaiian bread for us as an after school snack or on crackers. Yummy! would it be to use coconut sugar? Thanks for the great idea! I can make this paleo and won't feel guilt letting my kids eat popcicles! Love the idea, thank you for offering such a great idea. Love love love it! I made mine in my ice-cream maker. YUM! Oh emm geee. Avocado + coconut? Two of my favorite things ever. I'm definitely gonna be making these. I would never in a million years have thought to sweeten avocado, but now I want to try these just out of curiosity! I love this idea to make avocado sweet and refreshing in a popsicle, soooo yummy and healthy! Can the almond milk be replaced with something else for those with nut allergies? You can use any milk you would normally use. These popsicles look SOOOOO DROOL -worthy! It's almost like eating a smoothie on a stick! Love it! These sound great – avocadoes are the best things ever and I love coconut so I can imagine these would go like hot cakes in my house. I added the link above for those of you who asked. You can also use small plastic dixie cups. I lived in Brazil for a year, and Vitamina was one of my favorite "discoveries", though I always had it thicker than a smoothie–more like a thinner pudding. I also loved the avocado ice cream I found at a beach in Recife. 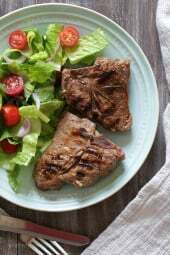 This recipe you've created is the best of both! Can't wait to try it. Quick question: is there a need for an emulsifier or does the creamy avocado help keep it from forming ice chunks or being as hard as an ice cube? Thank you! Love the ice cream idea! This wasn't hard at all, so I think the avocado helps keep it creamy. Okay. Made them! They are fabulous! I had to make tweaks based on what I had in the pantry so to speak. I also left out the coconut flakes (it's a texture thing). I used a can of lite coconut milk and made up the liquid difference with almond milk (I loved the extra coconut flavor). I lived in Brazil and I used to drink that smoothie all the time except we made it with condensed milk. I didn't know that some cultures treat avocados as sweet, that's really interesting. 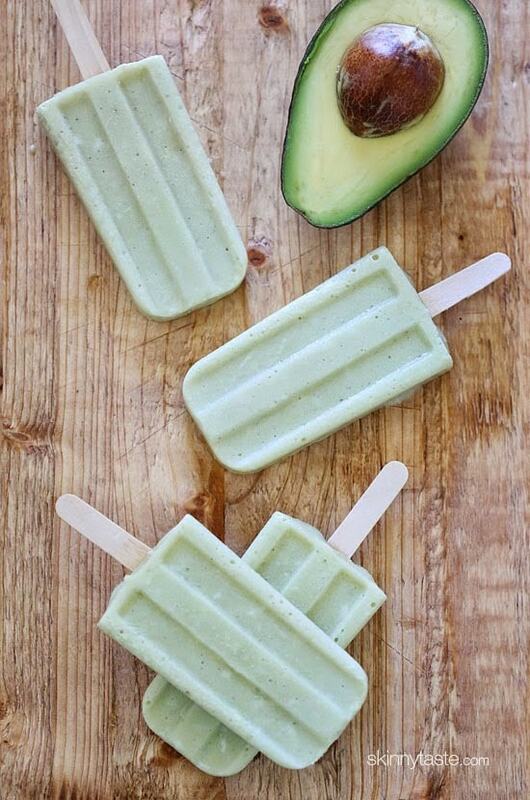 I might have to try that avocado in a smoothie idea, and the popsicles too!